This project took me nearly nine years to complete, but it’s finally done. 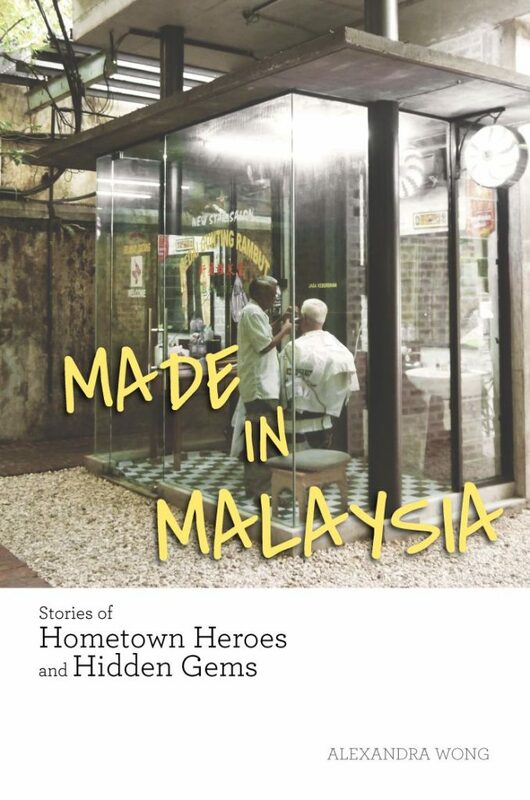 “A compilation of Alexandra Wong’s popular Navel Gazer columns in the Malaysian English-language daily The Star and other stories, Made in Malaysia: Stories of Hometown Heroes and Hidden Gems is about one woman’s journey of discovery across a historically and culturally rich and diverse land. When Wong left her corporate job in 2005 to pursue her dream of being a writer, she didn’t expect to open a treasure chest of experiences. She soon made a name for the heartwarming tales of ordinary Joes and Janes in Malaysian society, all of which she’d serendipitously encountered during her travels. Each gem she uncovers inspires her to seek out more. Culture shock and curtains of mosquitoes give way to familial warmth at an Iban longhouse. A French former nuclear scientist who embraced Malaysia as his second home makes a weekend in Gua Musang even more memorable. Pointers on how to be a serious and caring teacher emerge from one of her school’s naughtiest girls. And stirring displays of chivalry shine a different light upon titled and supposedly aloof public figures. … yes, this is why I’ve been so quiet. Had no idea there was so much to do for a book, but I’m enjoying every minute of it so far! I’ll be posting major updates here but for the latest real-time news, stories and photos, the best place to go is the Facebook page I’ve officially created for the book. You can also listen to my interview with BFM89.9’s literary reviewer Umapagan Ampikaipakan here. Thank you to MPH Publishing Group for publishing my first book – I couldn’t have chosen a more committed publisher to work with! And to everybody who has been cheering me on all these years, big hugs to all of you! Made in Malaysia is now available at all MPH bookstores in Klang Valley and Selangor, and will be arriving at Borders, Kinokuniya and Times, and other states very soon! As a random Malaysian writer as well, I'd have to say that breaking the writer/author barrier is pretty damn awesome. Thanks for the inspiration! I picked up your book 2 days ago and just finished it. The contents are wonderful. I truly enjoyed every page. Looking forward to your next book. Soon, I hope.